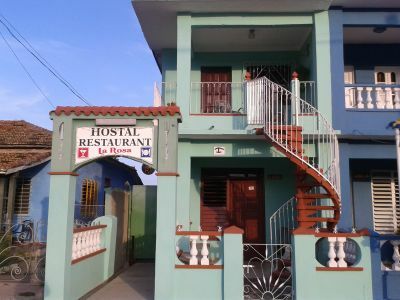 Casa Hostal Restaurante La Rosa in Casilda, Trinidad is located on the main street of the town of Casilda, a quiet and safe fisherman's harbor located in the bay of the same name and bathed by the beautiful waters of the Caribbean Sea. 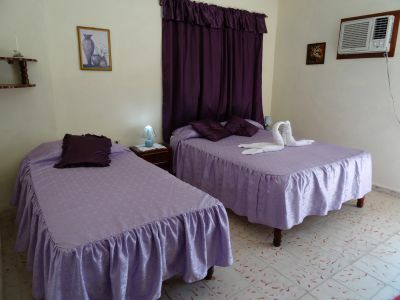 Due to its location, the town is also located at a strategic point, just 10 minutes from the center of the historical city of Trinidad, declared by UNESCO as a World Heritage Site in 1988, and 10 minutes from the Ancon Peninsula, where you can enjoy from the beaches and interesting places to do snorkling and other nautical activities. 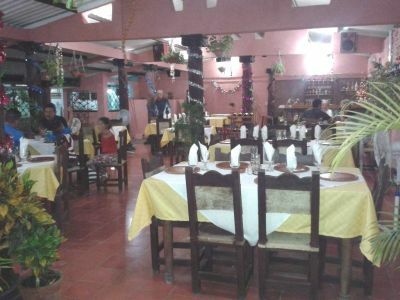 In the Hostal itself there is a small but cozy restaurant in which you can taste the typical dishes of the traditional cuisine of the town, with fresh products extracted from the sea, prepared by your host Adrián Tamayo Petersen. 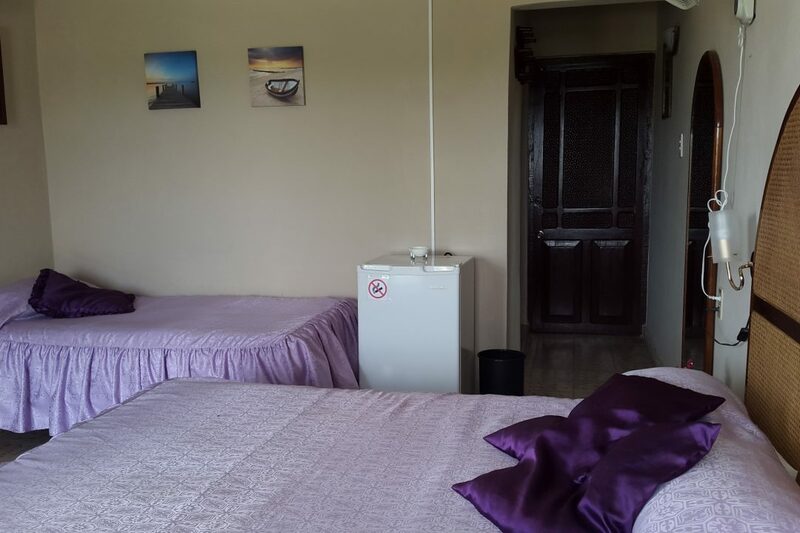 Room 1 has capacity for 3 people, 1 double bed and 1 personal bed, also has private bathroom, hot and cold water (24 hrs), minibar, air conditioning (Split), TV, fan and a balcony with view to the Main street of the village, where you can relax and enjoy your holidays. 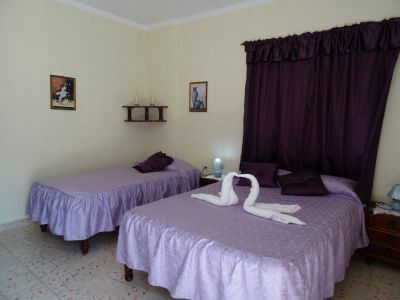 Room 2 with capacity for 4 people, has 2 double beds, also has private bathroom, hot and cold water (24 hrs), minibar, air conditioning (Split), TV, fan and a large terrace with garden. Street Real # 145 B, / Iglesias & Hernan Cortes, Casilda, Tinidad. 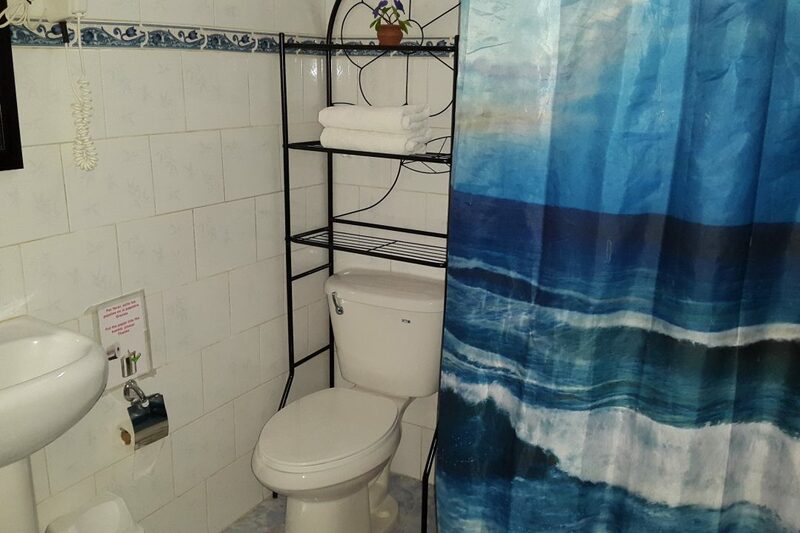 As we came with the group in Trinidad we did't know which casa agency reserved for us. What a pleasant surprise was when Fanny came for us. From that moment we felt as we are the part of this family. 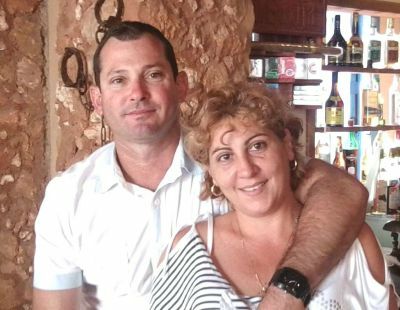 Adrian and Fanny are simple, frendly, helpfull and hardworking people. 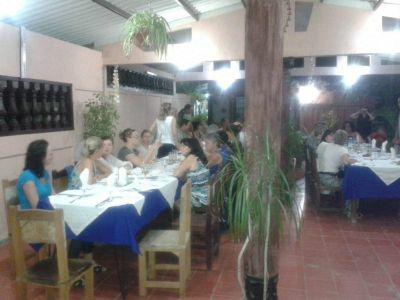 We had fantastic dinner (cream pumpkin soupe,lobster in pinneaple souce,deep fried banana chips) and afterwords we spoked and had fun till the late hours with Fanny and Adrian. How was the food? Adrian is a great masterchef with the assistant of his mother in law. Fanny is a great bartender making excellent mojitos. But I have discovered BANANA CHIPS which they made us for the road. How was the room? We still remember beautiful but short time we spend together and do hope to visit them again very soon. 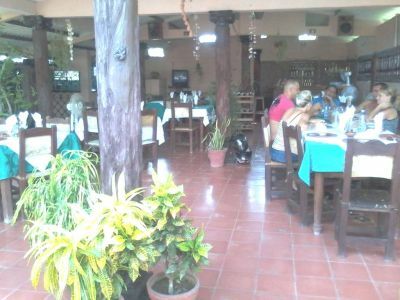 In between of Trinidad & playa ancon, nice & quite location in between the Cubans. Super hospitable owners who go out of there way to make sure you have everything you need. How was the food? Adrian is an ex chef, we stayed here 4 nights and ate here every night, it was amazing. How was the room? Loved sitting on the terace with a good coctail that Fanny made for us watching Cuban life go by in the streets. 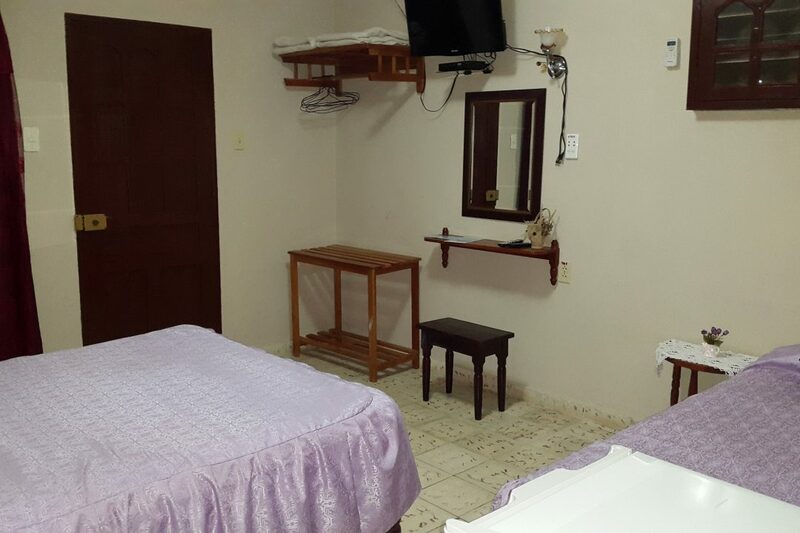 We rented a car from Varadero and we traveled to Trinidad and stayed 2 nights at Fanny and Adrian Casa de La Rosa. Both Fanny and Adrian treated us like we wer e part of their family. They are awesome people. 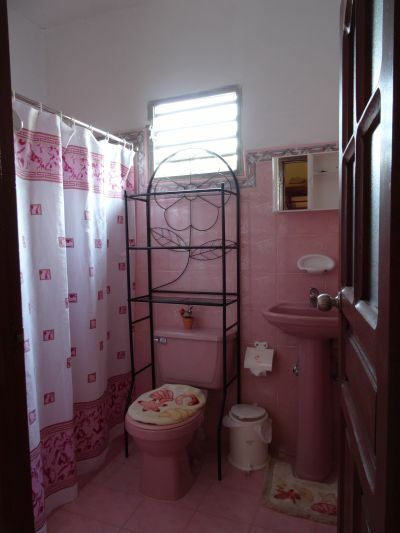 We are planning a trip to Trinidad again next year, and Casa de La Rosa is definitely where we are going to stay. How was the food? The food was extraordinaire (including the mohitos we drank. How was the room? 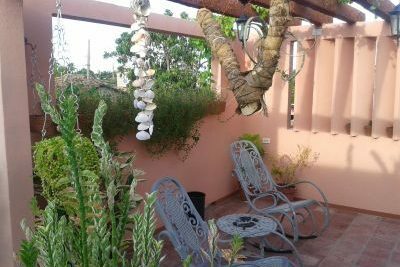 We highly recommend this Casa to anyone traveling to Trinidad, Cuba. Excellent breakfast, good diner. How was the room? Clean and confortable, nice terasse.